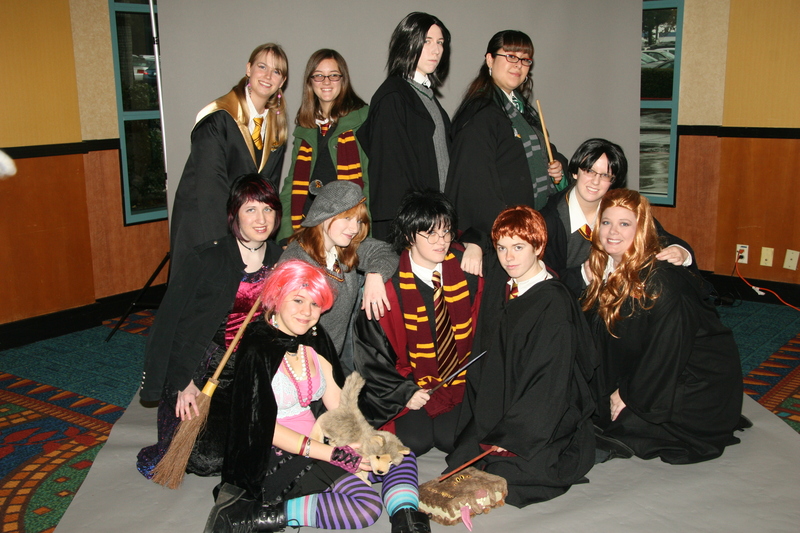 5048-01 high-res image, 5048-02 high-res image, 5048-03 high-res image, 5048-04 high-res image, 5048-05 high-res image, 5048-06 high-res image. 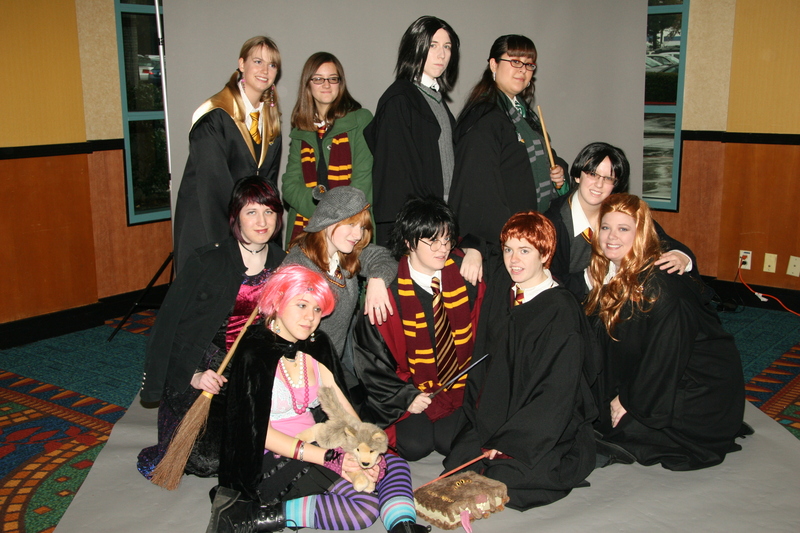 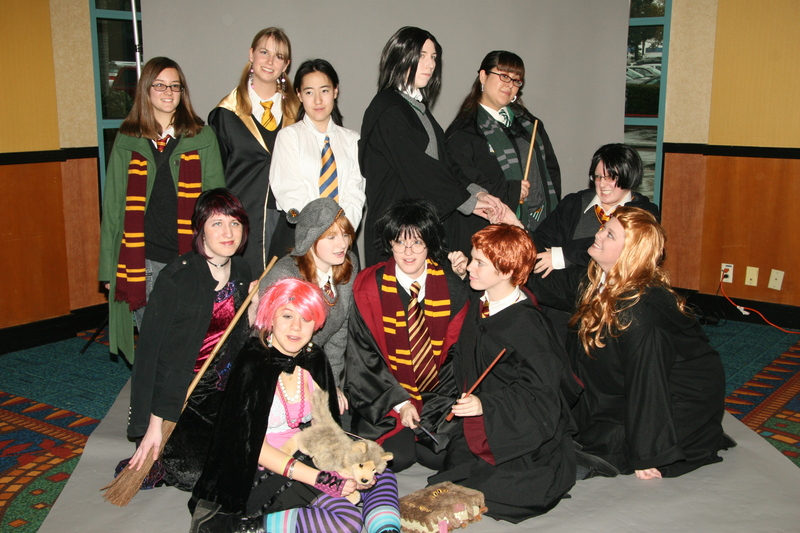 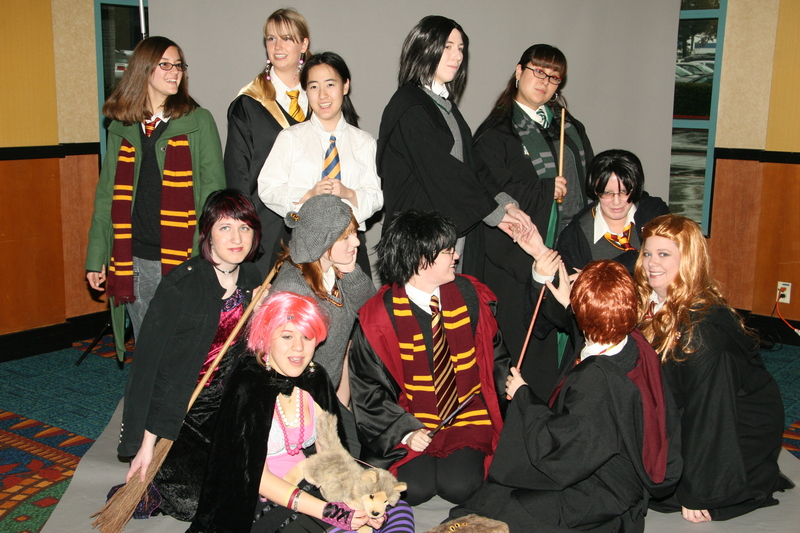 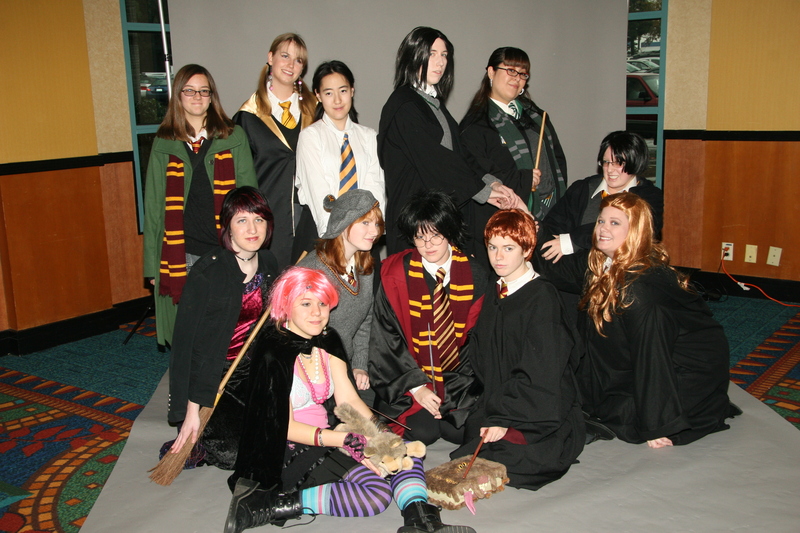 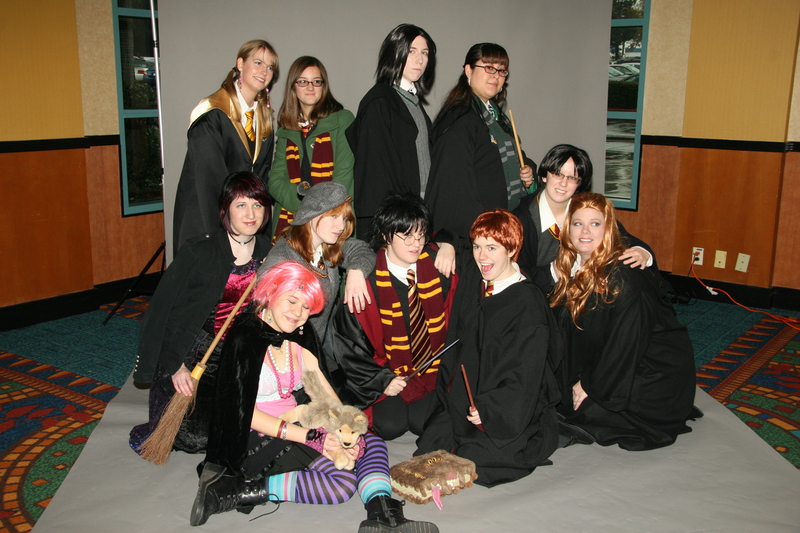 Left to right: someone in gold and black, Sarah Stafford with broom, Sarah Goldberg with pink hair as "Tonks" in front, somebody in green cloak as "Hermione Granger" standing in back, Caitlin Postal (Sonsko-chan) in grey jacket as "Ginny Weasley," Ellome standing in back as "Severus Snape," Hakujou_Muse as "Harry Potter" in the middle, Yana Neko (Adriana Zepeda) in back with wand, Zelamir91 in front as "Ron Weasley," Divine Sage as "James Potter" with black wig and Tiffany (Neo_Serenity) as "Lily Evans" on the floor. 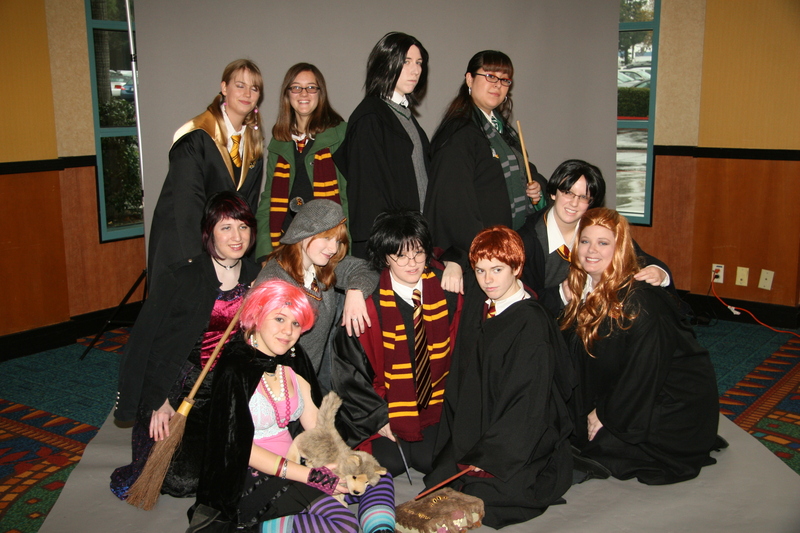 5048-07 high-res image, 5048-08 high-res image, 5048-09 high-res image. 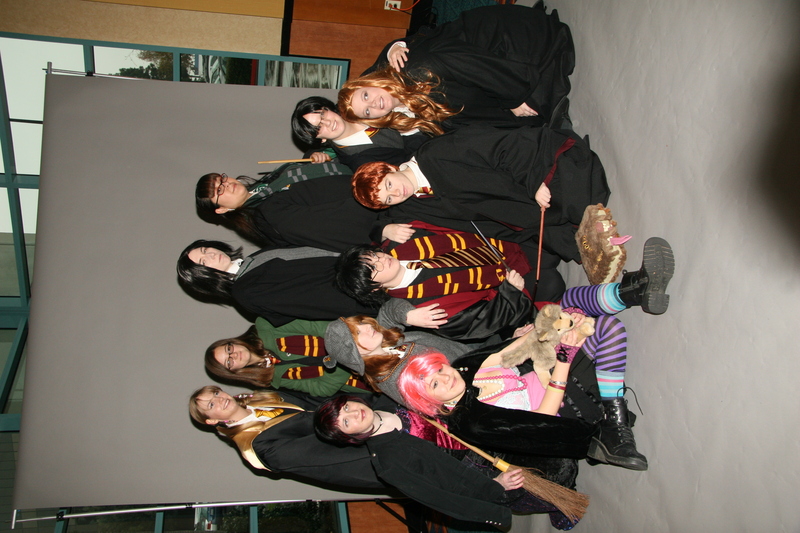 Left to right: somebody in green cloak as "Hermione Granger" standing in back, Sarah Stafford with broom, someone in gold and black standing in back, Sarah Goldberg with pink hair as "Tonks" in front, guy in white shirt, Caitlin Postal (Sonsko-chan) in grey jacket as "Ginny Weasley," Ellome standing in back as "Severus Snape," Hakujou_Muse as "Harry Potter" in the middle, Yana Neko (Adriana Zepeda) in back with wand, Zelamir91 in front as "Ron Weasley," Divine Sage as "James Potter" with black wig and Tiffany (Neo_Serenity) as "Lily Evans" on the floor. 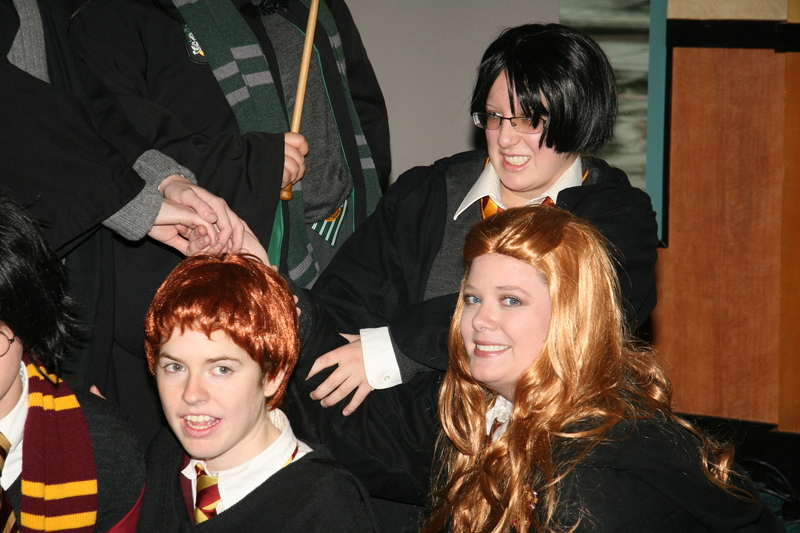 Zelamir91 in front as "Ron Weasley," Divine Sage as "James Potter" behind Tiffany (Neo_Serenity) as "Lily Evans."